When it comes to relationships, I'm the first one to admit that I don't believe in love at first sight. But when it comes to clothes, that's an entirely different story. When I shop, I like to keep a level head. I try to keep my budget in mind and concentrate on the the items I really need in my wardrobe. 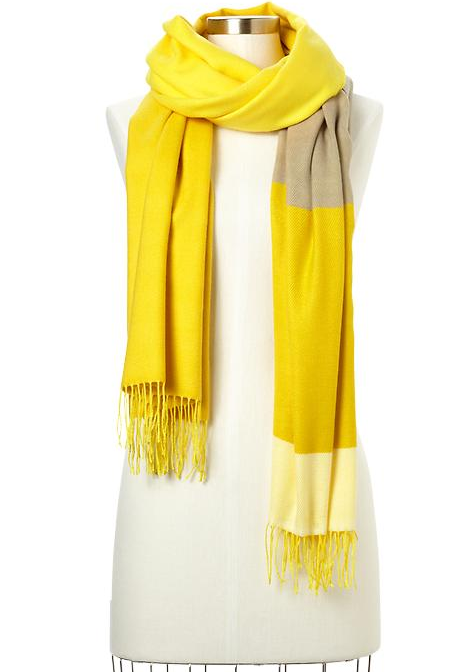 But when I saw that beautiful yellow scarf, I just couldn't say no. Literally I couldn't. Ten minutes later, I was walking out of the store with my newest purchase. Gap, you have made my cold wintery days just a little bit cozier. ... have you noticed it fits the Twentyapolis color scheme? Me too!